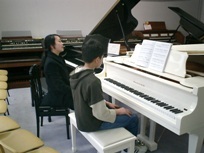 Bernies Music School - Australia's largest piano, keyboard and organ superstore. Sales, service and education. Friendly family business since 1977. Learn today! NEW Term lesson times available now! Fees are paid per school term, in advance of the first lesson. Private lessons starts at $37.90 per half hour lesson. First consultations can be booked for $40 per half hour. Please phone 9872 5122 for enquiries. Two concerts are held each year for the Bernies Music School students to perform and celebrate their achievements. The concerts are free for students and their families, and are a wonderful experience. Concerts are held on the Schimmel Main Stage at Bernies Music Land and students enjoy the experience of performing on magnificent instruments like the Schimmel Konzert Grand Piano. Each performer receives plenty of encouragement and a certificate to take home. View Event.